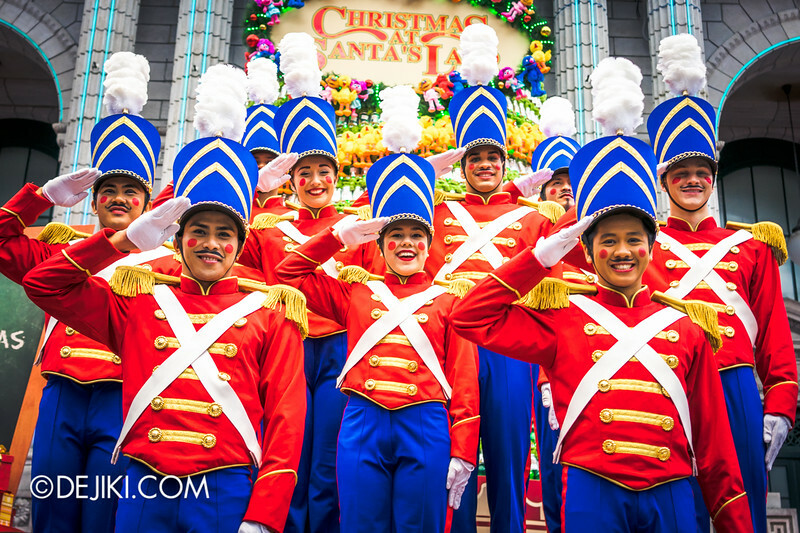 Meet Santa’s Toy Soldiers during a rehearsal of the Changing of the Guard – an all-new show as part of Universal Studios Singapore’s Snowy Christmas at Santa’s Land event! 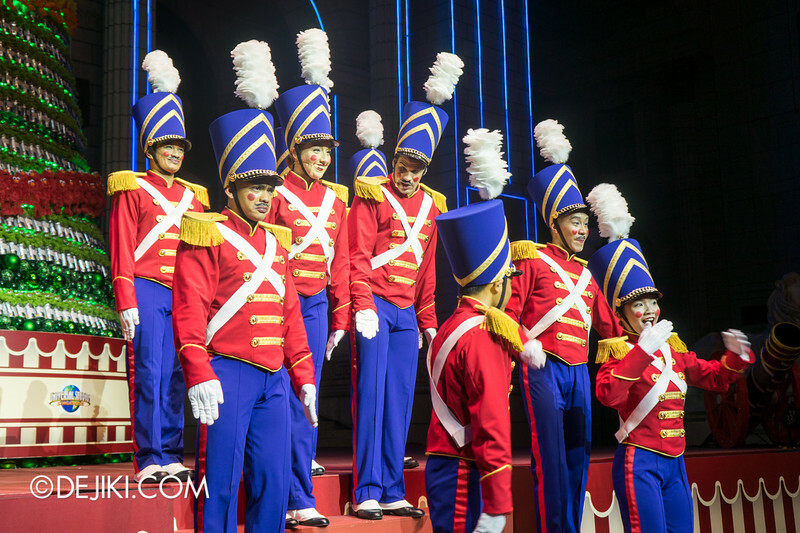 When the clock strikes twelve, a toy soldier walks on stage – seemingly left behind by the rest. Despite that, the soldier remains excited, especially when she hears her friends marching back from the other end of New York. 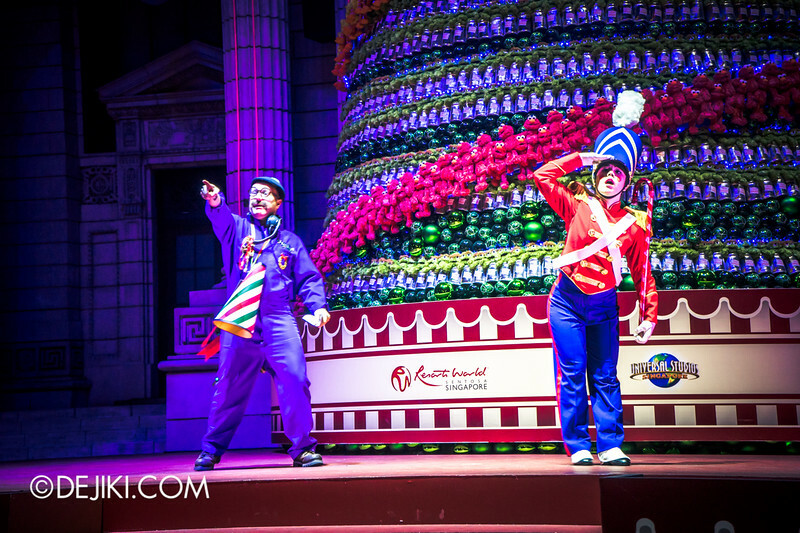 The first half of the show is based on many adaptations of the Parade of the Wooden Soldiers. 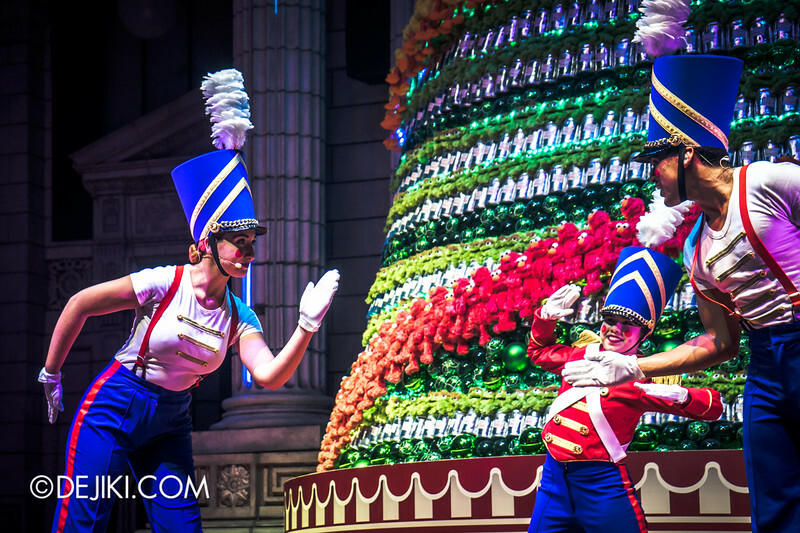 As the chirpy tune trickles in, we see that the first toy soldier, despite her petite stature, steps up to lead. The unlikely leader tries to direct her comrades during drills, to little success. With much candor and hard work, the soldiers managed to get it right eventually! After completing the rehearsal of the Changing of the Guard, the soldiers decide to mix things up. Taking off their coats, they started to belt and dance out Christmas songs such as We Need A Little Christmas, Do You Hear What I Hear, Christmas Wrapping and Extraordinary Merry Christmas. Snow falls again in New York during the grand finale. 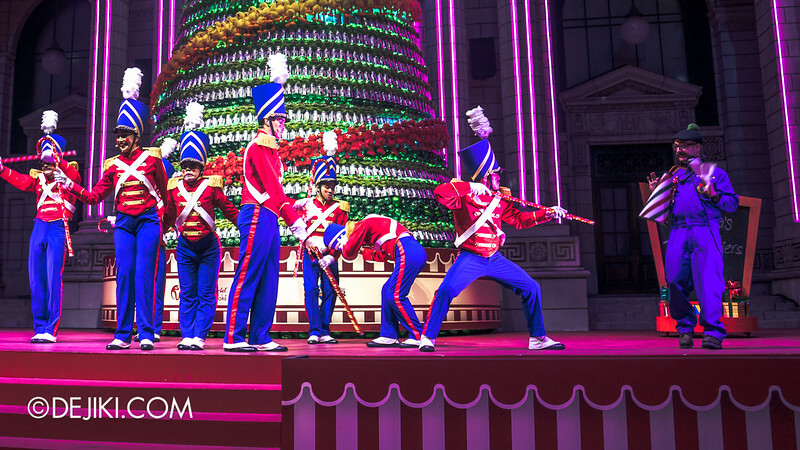 If you watch the toy soldiers closely, you might notice each of them have their own antics throughout the show. And there’s some romance blooming between two of them. 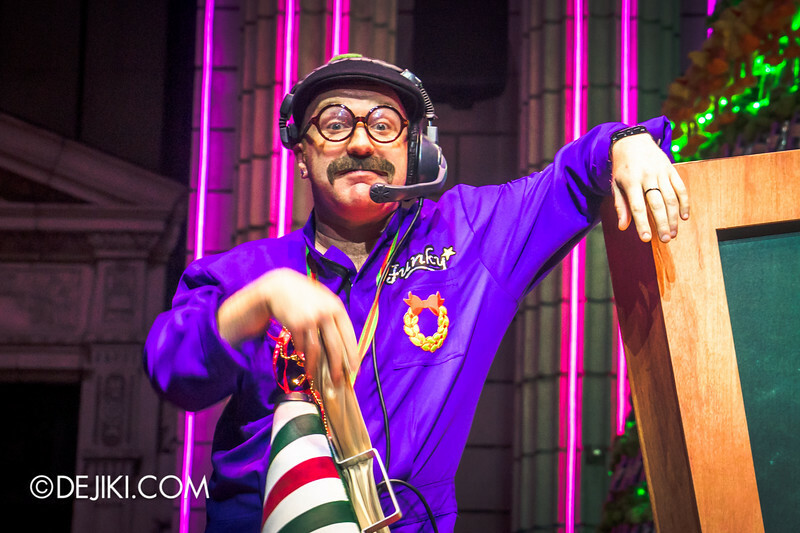 Check out the video covering the show here! 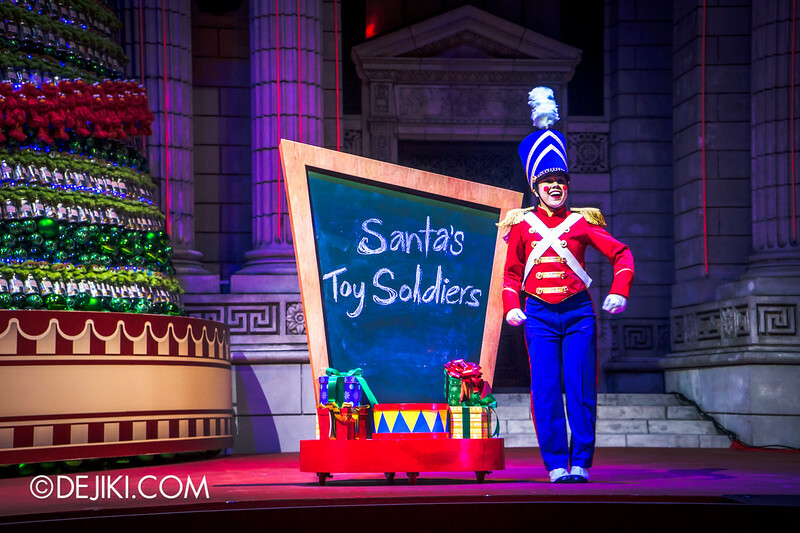 As this year’s all-new show for Christmas, I found Santa’s Toy Soldiers to be a welcomed and entertaining performance to watch. 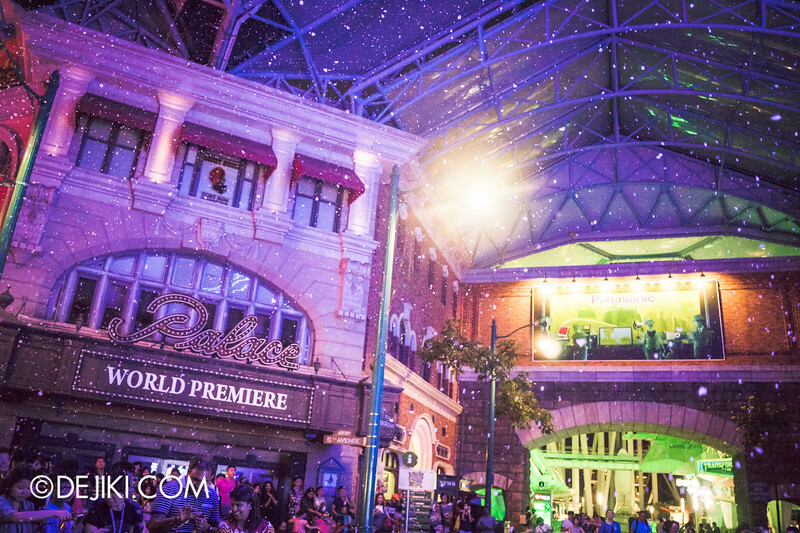 Each show is preceded with three other segments, such as Snowfall at New York, Dancing Christmas Lights and Winter Tales. I’d suggest being at New York Library at least 20 minutes in advance of a show. 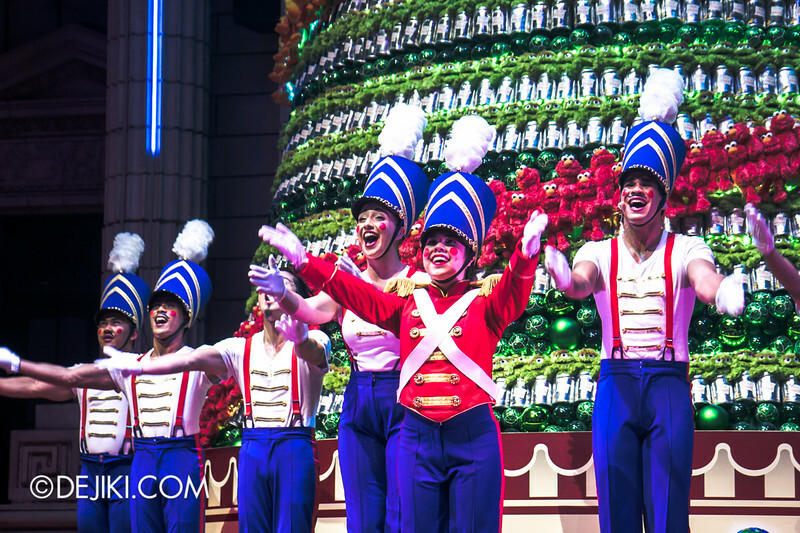 Not only will you be able to experience four things consecutively, you’ll get a better spot for the Toy Soldiers’ show as well. 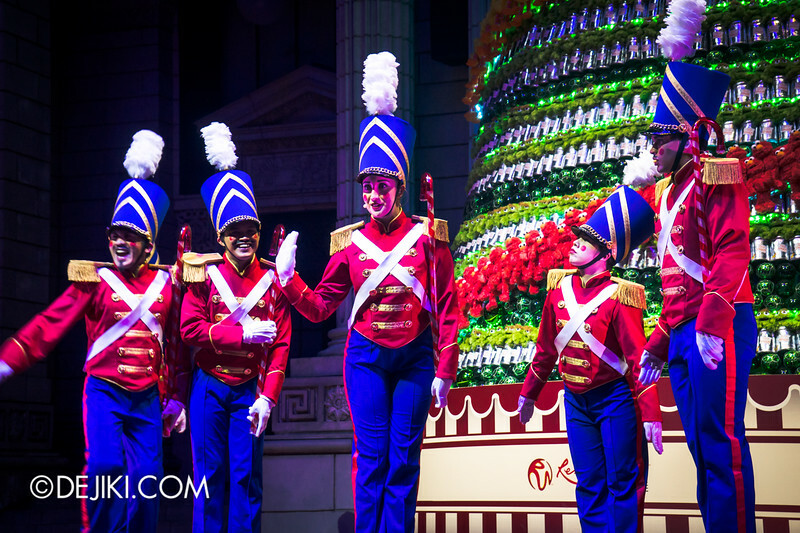 Stick around after the show to meet and greet the toy soldiers. This is a rare photo op moment as the soldiers only perform twice during event nights. There may be extra (unannounced) Meet and Greet sessions during the day, but don’t bet on it happening all the time. 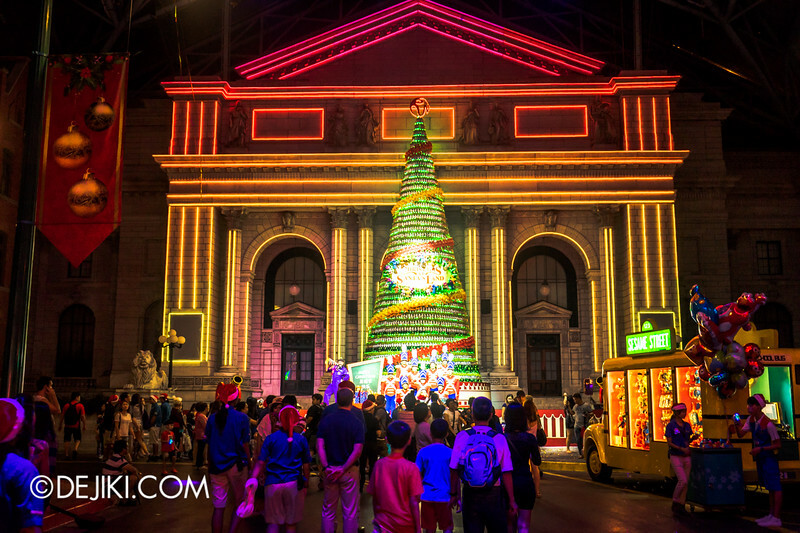 Hop over to this month’s USS Park Update to get a glimpse of the festive celebrations in the park! Hi! 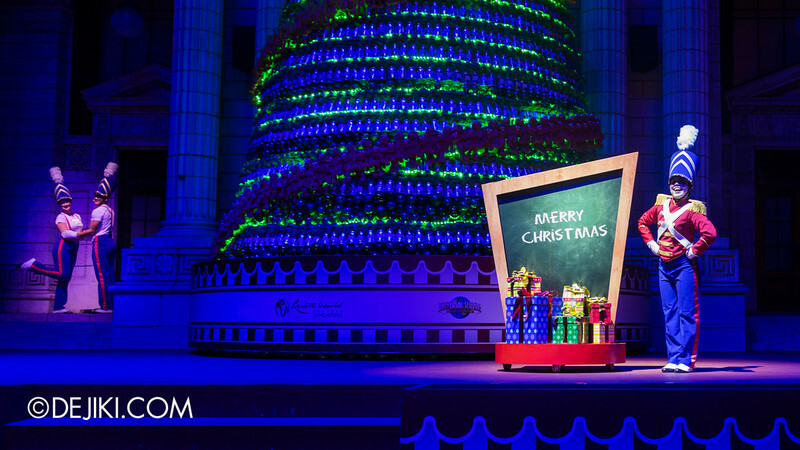 Do you know what’s the christmas song at the very start of the show? It’s a sweet, slow song sung by a girl.